The information presented on this page was originally released on December 10, 2012. It may not be outdated, but please search our site for more current information. If you plan to quote or reference this information in a publication, please check with the Extension specialist or author before proceeding. HATTIESBURG – Blueberry producers and backyard fruit growers can learn about the newest threats to their crops at a workshop Jan. 17. The Mississippi State University Extension Service is hosting the Emerging Insect and Disease Workshop from 1 p.m. to 5 p.m. at the Forrest County Extension office in Hattiesburg. 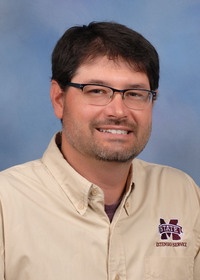 Experts from MSU’s Extension Service, the Mississippi Agricultural and Forestry Experiment Station, the University of Florida and the U.S. Department of Agriculture’s Agricultural Research Service will address diseases, such as bacterial scorch, and insects, such as the invasive spotted wing drosophila that threaten the state’s blueberry and fruit crops. The specialists will share monitoring tips, spray technologies and integrated pest management techniques. For more information, contact Stafne at (601) 403-8939 or estafne@ext.msstate.edu.